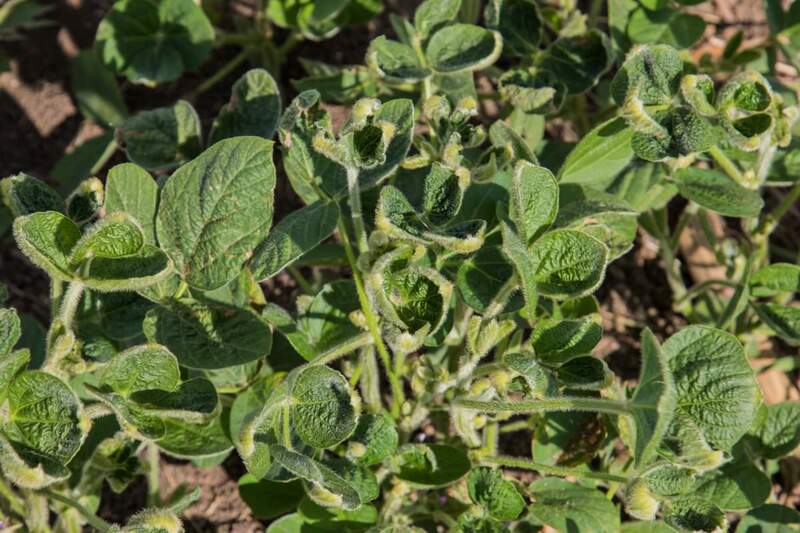 Dicamba causes a telltale cupping of leaves on soybean plants that aren't immune to it. As is unavoidable with a story that’s so rapidly changing – dicamba is banned! Dicamba is restricted! Dicamba led to an actual murder! – it can be hard to get a sense of the full picture. 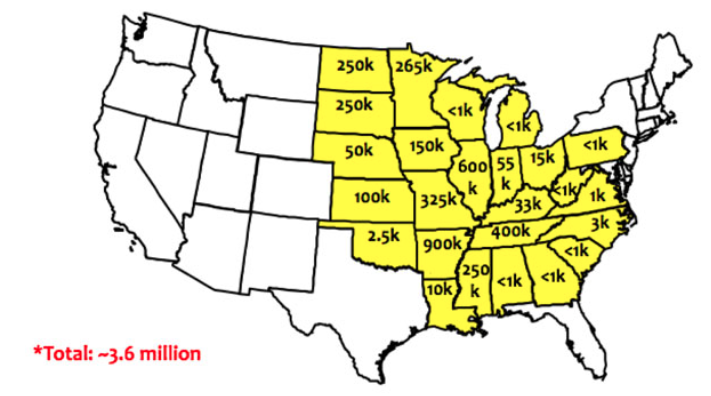 Kevin Bradley over at the University of Missouri has been tracking dicamba closely, and put together two maps that show in a nice, broad sense the impact of dicamba: how many acres of farmland have been affected, and how many complaints have been lodged? There has been an avalanche of criminal complaints regarding dicamba, and many reports of affected farmland. Bradley’s maps, using data from various state departments of agriculture and weed scientists, summarizes all of that. The data is accurate as of October 15th. It shows 2,708 dicamba-related cases in progress, ranging from North Dakota to Louisiana, and as far east as North Carolina. The state with the single highest number of cases is Arkansas, with 986. Arkansas was one of the states that issued a temporary ban on the sale and use of dicamba this summer. 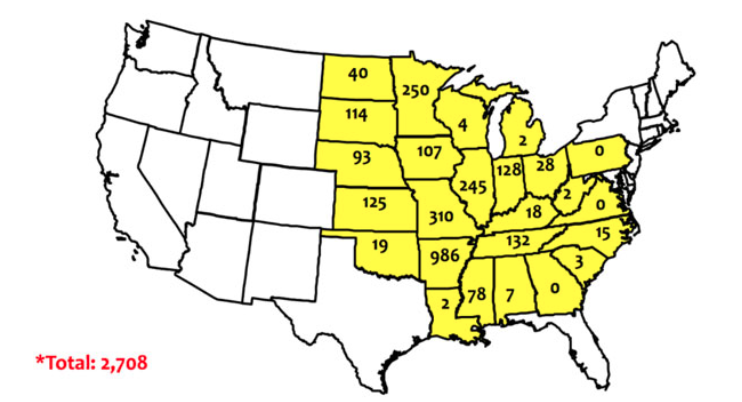 The map of affected acreage is even scarier, ranging to the east coast as far north as Pennsylvania and as far south as Georgia. Arkansas again was hit the hardest, but the Dakotas and Minnesota were severely damaged as well. Altogether, Bradley’s map shows 3.6 million acres of soybean fields damaged by dicamba. Whether the recent decision to make dicamba a restricted-use pesticide will result in less damage is unclear, especially as big chunks of the affected areas enter winter. Why can’t we use less pesticides in our food production!!! FARMERS – HELP SAVE – THE MONARCH BUTTERFLY!!!! !